Zen monks drank tea as a means of staying awake and maintaining awareness during their sitting meditations. An old Zen story details how Bodhidarma (the first patriarch of Zen) drowsed off momentarily during a nine year meditation. He was so enraged with himself at this that he drew a knife and sliced off his eyelids and from the soil where his eyelids fell grew the first tea plants. Resting a mug of tea on my notebook on one cold grey morning at work I noticed a tea stain that resembled the Zen brushstroke. It seemed very apt that it was tea which had formed this symbol and how this had been formed by a completely chance operation. 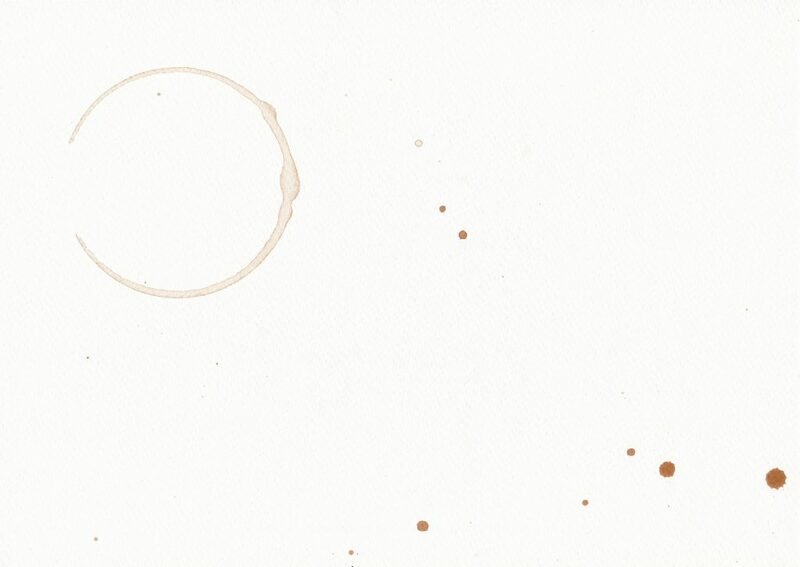 I drink a lot of tea so figured I might as well capitalize on this fact and over the course of 5 weeks collected every stain from every mug or pot of tea I brewed on watercolour paper.